Another instalment in my photos from ten years ago series – this time it is September 2006, where the only thing I appear to have photographed was trains. 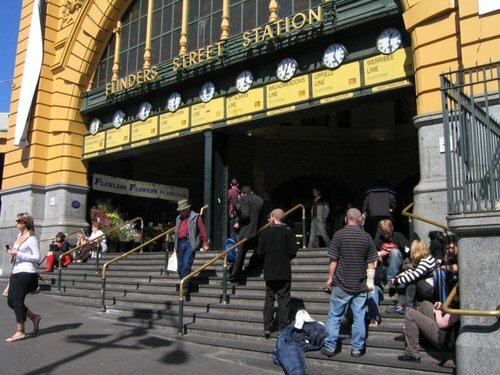 We start at Flinders Street Station, where the steps under the clocks were covered with emos. Whatever happened to them? 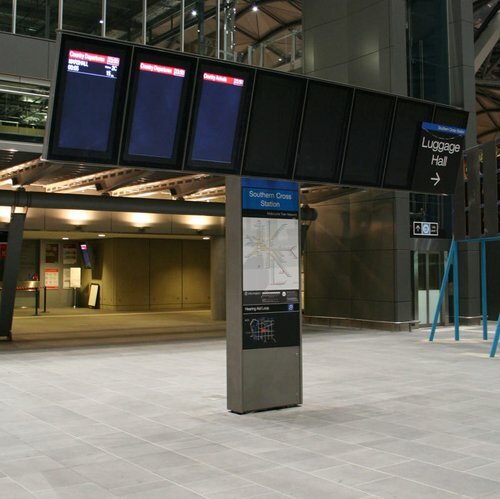 One night over at Southern Cross Station I caught the last train home to Geelong. 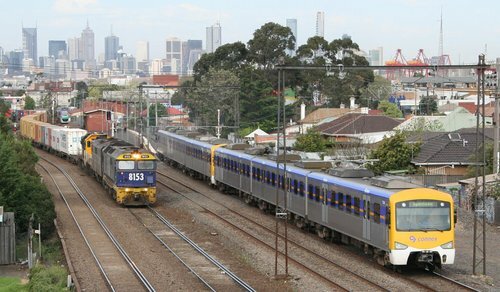 From the since-demolished Rising Sun footbridge at Middle Footscray I photographed a freight train being overtaken by a suburban services. 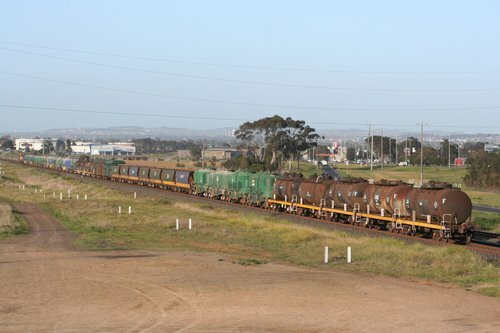 Over at Newport I photographed the Waurn Ponds to Lyndhurst cement train – a traffic since lost to rail. 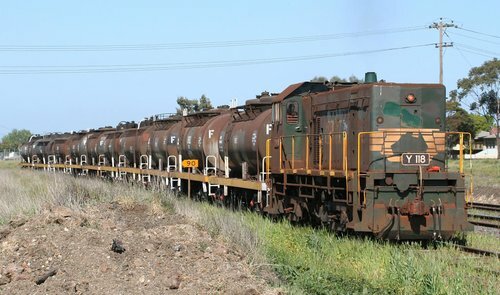 And still on the subject of traffic lost to rail – the same month I also photographed an oil train bound for the Shell Refinery at Corio. 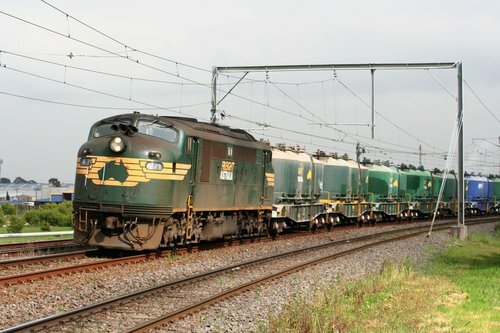 A decade ago mixed freight services still ran in Victoria – this train was conveying cement, oil and grain in dedicated wagons, as well as a load of beer kegs in a louvred van. 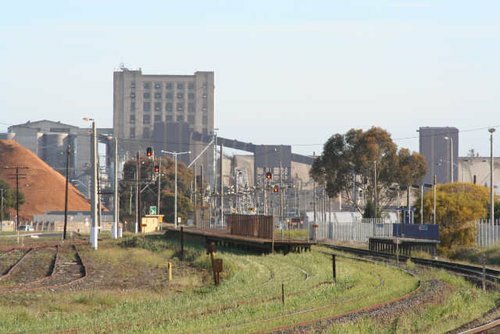 While this train from Mildura was a mix of containers bound for export via the Port of Melbourne, and smaller freight consignments loaded together in louvred vans. However one thing that doesn’t seem to have changed is track maintenance – here at North Shore we see the tracks completely covered with grass. Here you can find the rest of my ‘photos from ten years ago‘ series.